Television has influence, and television is subject to influence. It is influenced by the society on which, in turn, it exerts its influence. It is also influenced by the past of the society to which it belongs; it is influenced by the ebb and flow of ideological currents. 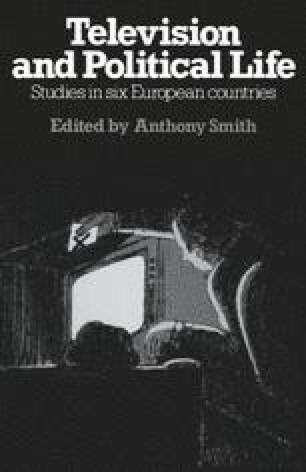 This applies to the Federal Republic of Germany (FRG) just as it does to other countries, and much of what we shall have to say about television in the FRG does not in essence differ from the state of affairs described in the other chapters of this volume. This is true, for instance, of the wave of systematic questioning which marked the 1960s. But like every case, the case of the FRG is a special one; in fact it is more of a special case than other countries since its origins have an individual history, since it has a very special problem of identity, and because it has a very special relationship to democracy.